At its core, Grapes of Mirth is the bringing together of comedy and wine; sharing a wine, sharing a conversation, and sharing a laugh. We create unique experiences to be enjoyed with family and friends, in the beautiful surrounds of wine country, over a bottle of quality wine. We’re bold, silly at times, somewhat irreverent, but together with our free-thinking ideology comes a deep and passionate love of wine and comedy. Be first in line for event tickets and other Grapes of Mirth offerings. Awesome day today for #GrapesofMirth. Bloody brilliant talent. Have to say though, @Becky_Lucas89 smashed it. 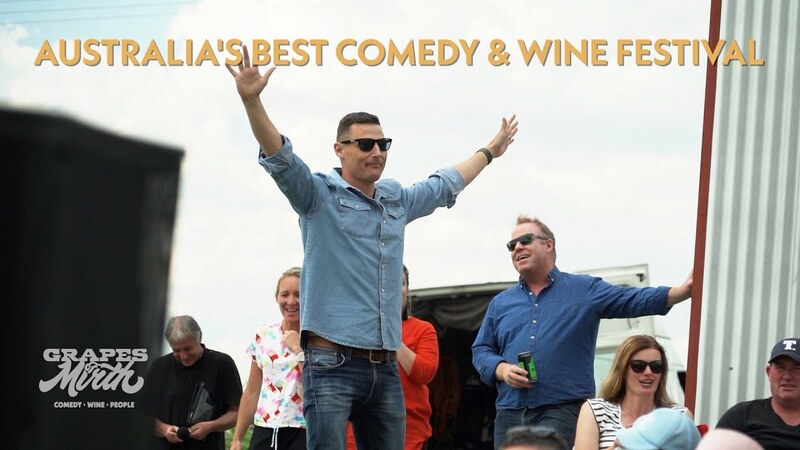 filled with great wine and great comedians of course! My cheeks hurt from laughing so hard. Can’t wait for the next one!